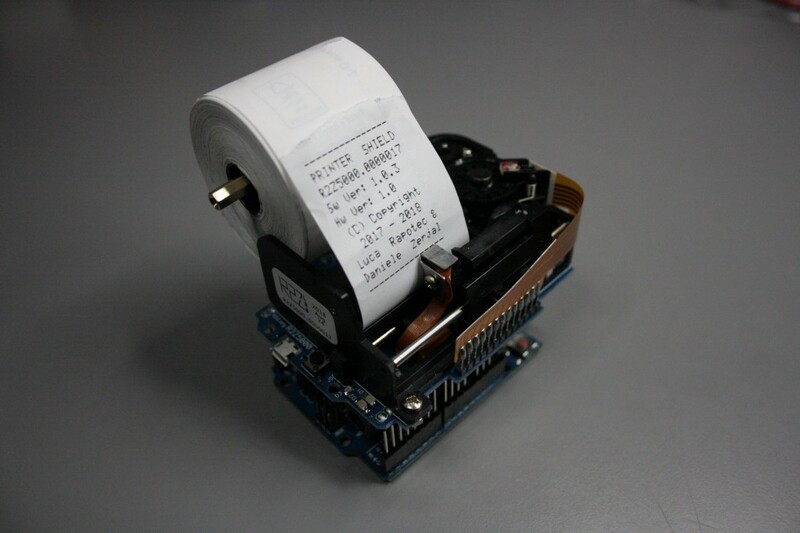 Have you ever wanted a machine with an integrated thermal printer? While there are certainly ways to do this, few feature as cool a form factor as the Thermal Paper Printer Shield/HAT from R2Z Lab. This device takes input from a USB COM port or via a UART interface, and outputs either text or graphical information on a roll of receipt paper. Documentation can be found here. Internally, it works as a state machine, listening for received characters or a feed button and then responding with the appropriate action. A wide variety of built-in 7×5 pixel characters are available, and the device is capable of outputting 15 characters letters and symbols per line. Graphics are also available with a width of 105 dots per line, and up to seven dots wide, but due to the mechanical design of the Thermal Paper Printer Shield it can’t produce anything wider than that without spaces in between. This means that while it can draw an excellent camouflaged gecko, large non-stripy forms won’t look quite as good. Despitre this limitation, the Thermal Paper Printer Shield seems like a very fun gadget just waiting for a creative use. You can purchase Pi and Arduino versions on Tindie (Arduino/RPi) or eBay Italy (Arduino/RPi) if you so prefer! 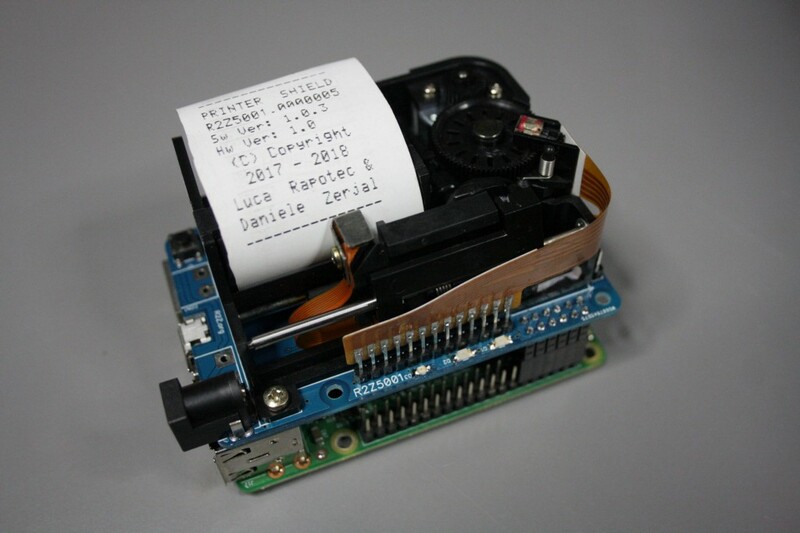 Thermal Printer Mounts Directly to an Arduino or Raspberry Pi was originally published in Hackster Blog on Medium, where people are continuing the conversation by highlighting and responding to this story.